The Leaf Eater Ultra (4" Round Model) is the next generation Rain Head, featuring the new Hydro Activated Filtration technology and VH Pivot outlet. 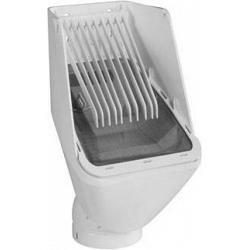 The Leaf Eater Ultra Rain Head prevents debris from entering the Rain Harvesting system, improves water quality and reduces tank/cistern maintenance. The Leaf Eater Ultra uses the Leaf Slide which deflects debris away from the screen and a precisely angled screen which directs leaves and debris away from the flow of water to maximise catchment efficiency. 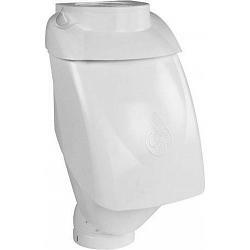 This Rain Head also incorporates a VH Pivot outlet that swivels to suit vertical or horizontal downspouts. The Leaf Eater Ultra can also be used as a debris removing device even when rainwater is not being collected. Multi-fit cap - 3", 4", 2x3" and 3x4"
1. Remove and discard the cap. 2. Fit the adaptor to the bottom of Leaf Eater Ultra outlet. 3. Measure and remove 14 1/2" of downspout from the bottom of the gutter outlet. Ensure all edges are clean and smooth. 4. Remove the front cover by unscrewing the two screws with a phillips head screwdriver. 5. Insert the Leaf Eater Ultra by sliding the outlet into the bottom section of downspout. 6. Screw the Leaf Eater Ultra into position through the screw slots provided. Ensure appropriate screws and anchors (if required) are used. 7. Check the placement of the Vibrating Screen. It must sit behind and below the front face (refer figure 1). 8. Insert the Leaf Slide into slot holes (refer figure 2). 9. Re-install the front cover by reinserting the two screws. 1. Fit the adaptor to the bottom of Leaf Eater Ultra outlet. 2. Measure and remove 14 1/2" of downspout from where Leaf Eater Ultra is to be situated. Ensure all edges are clean and smooth. 3. Remove the cap and use snips to remove a section to fit the appropriate downspout. 5. Slide the cap up the top section of downspout and hold temporarily in place. 6. Insert the Leaf Eater Ultra by sliding the outlet into the bottom section of downspout. The back fixing plate must sit behind the top section of downspout. 7. Screw the Leaf Eater Ultra into position through the screw slots provided. Ensure appropriate screws and anchors (if required) are used. 8. Check the placement of the Vibrating Screen. It must sit behind and below the front face (refer figure 1). 9. Insert the Leaf Slide into slot holes (refer figure 2). 10. Re-install the front cover by reinserting the two screws. 11. Slide the cap back down the downspout until it sits securely on the top of the Leaf Eater Ultra. 1. If installing under gutter remove and discard cap. If installing mid-mount carefully use snips to remove a section of cap to fit the appropriate downspout. 2. Swivel the outlet to the horizontal position - some force may be required. Fit the adaptor to the bottom of Leaf Eater Ultra outlet. 3. Remove the front cover by unscrewing the two screws with a phillips head screwdriver. 4. Position the Leaf Eater Ultra next to the existing downspout, mark and cut top and bottom cut lines. Ensure all cut edges are clean and smooth. 6. Insert the Leaf Eater Ultra by sliding the rear outlet into the horizontal pipe. The back fixing plate must sit behind the top section of downspout. 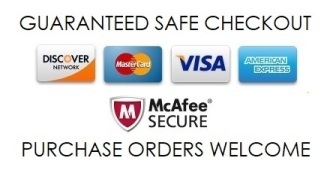 Poly-Mart Tank Outlet - Tank Overflow Kit - 4"
Poly-Mart Tank Screen Cover - 16"